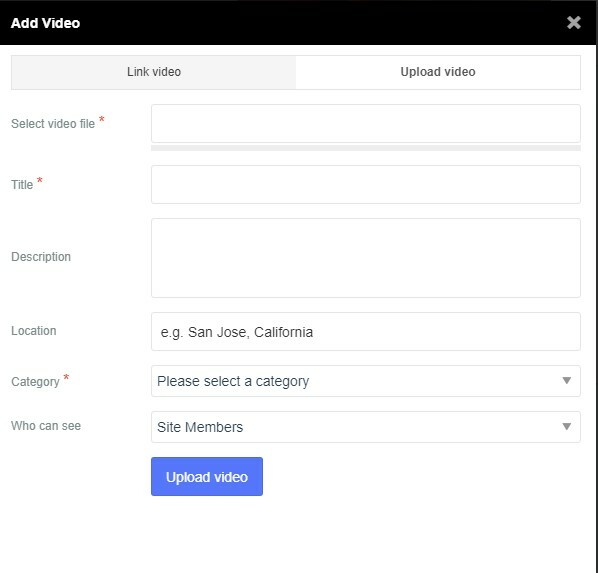 To upload videos, you will first have to enable Video Galleries and have at least one category created. Also, make sure that your server meets all requirements needed for video uploading. Select video file - Navigate to the physical file on your computer and input it here. Alternatively, click Browse and an additional popup window to search for file will appear. Title - This field is also mandatory and will be used as a Video Title. Description - Description of video that will be uploaded. 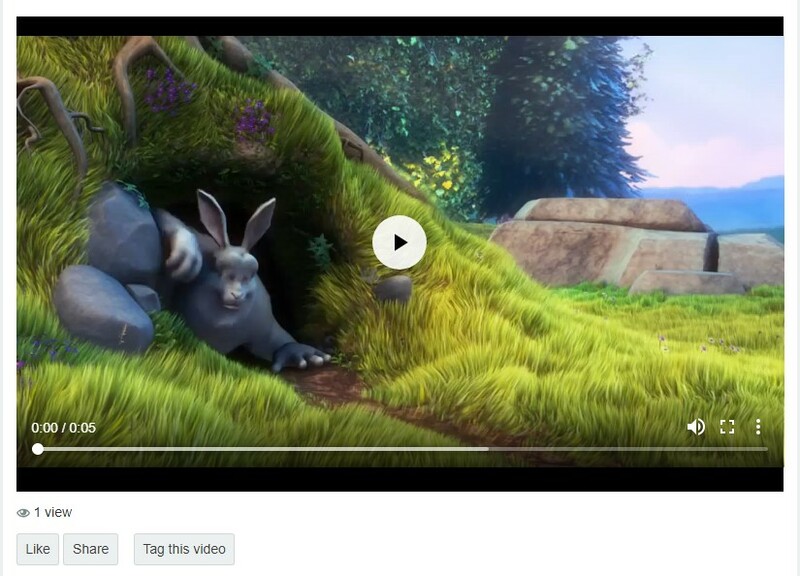 Location - If enabled, Video Location field will be displayed. Category - You must select the category where the video will be stored. Who can see - Privacy setting for the video. 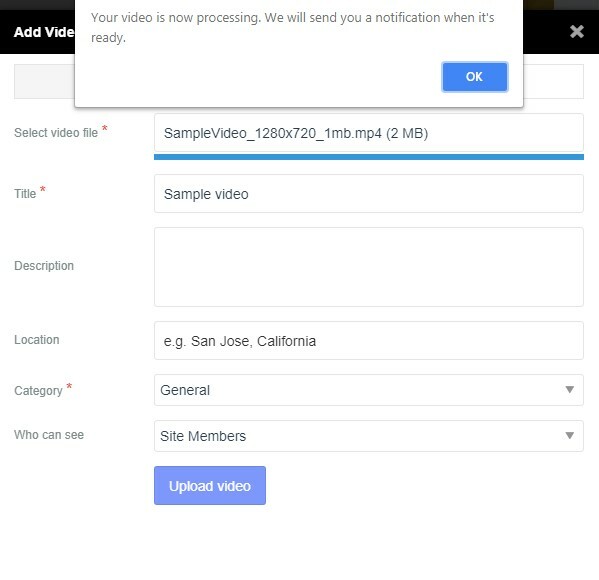 After the fields are filled properly, click Upload Video and wait for the video to upload. Depending on the video size and your Internet connection, the upload can take anywhere from several seconds to several hours.